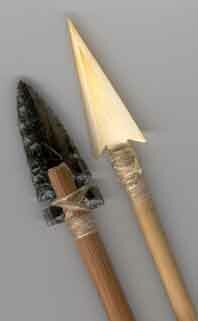 I have been making Primitive Arrows for myself and friends for sometime now. 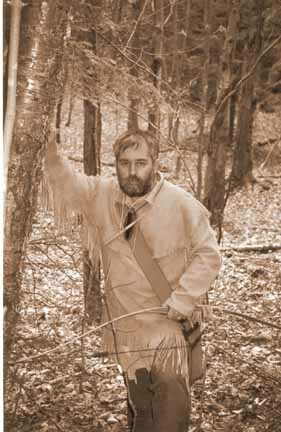 Poverty Hill arrows have been auctioned off at NWTF and NYB fund raising banquets. Recently some of my friends suggested that I put a page together of arrows for trade. If You are interested in trading with me for some of my arrows drop me a email. 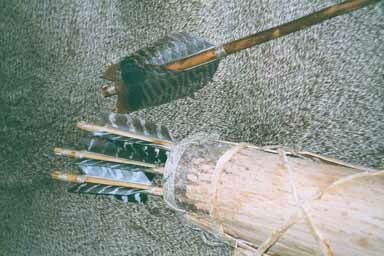 Arrows are Self Nock Sinew Wrapped Shafts of Dogwood, Arrowood, Sourwood, or Rivercane with Obsidian, Flint or Trade Points.Shafts are hand straightened over fire and come with or without primitive cresting.